Summary: We have certain things that we know are acceptable and unacceptable at the table.When we come to the Lord's table we must have the proper manners as well. When I was growing up there were certain things that were not tolerated at my house. I have always worn a baseball hat. I knew that when I was at the table that that hat had to come off, it was not an option. I am a grown man and if I go into a fast food joint and have my hat on I will take it off. I have a fear of my daddy walking in and knocking it off of my head! Many of you were taught similar manners when it came to the dinner table. Did you know that there is proper etiquette at the Lord’s Table? Throughout my life I have observed the Lord’s Supper many times. I remember as a child coming in and seeing the table with white sheets over it and I knew what was under the sheet. 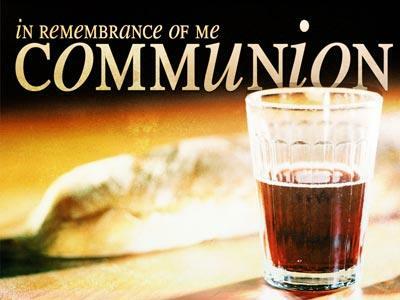 The sad fact is that I am 27 years old and I have never had a preacher explain in detail what communion is all about. We always just came in observed the ceremony and went home. Many people were excited when it came time to have the Lord’s Supper because usually that meant that the preacher was not going to preach. We can’t take lightly the words in verse 26 - For as often as ye eat this bread, and drink this cup, ye do shew the Lord's death till he come. 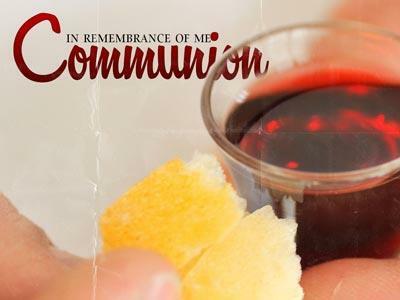 There is one part of communion that has always scared me to death. The verse that says - for he that eateth and drinketh unworthily, eateth and drinketh damnation to himself, not discerning the Lord's body. That verse terrified me as a child and to be honest for a long time as an adult. A. The Damage That Is Involved - v17 ¶Now in this that I declare unto you I praise you not, that ye come together not for the better, but for the worse. This statement refers back to verse 1&2 of this chapter. - 1 Corinthians 11:1 ¶Be ye followers of me, even as I also am of Christ. 2 Now I praise you, brethren, that ye remember me in all things, and keep the ordinances, as I delivered them to you. They had been instructed to keep the ordinances but the way in which they observed the Lord’s supper was almost blasphemous! 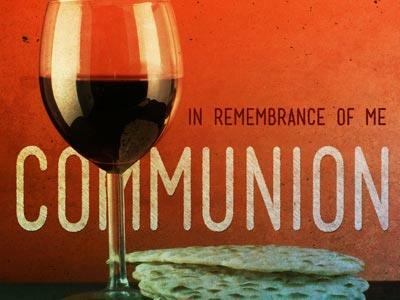 The time of communion should have been a great spiritual blessing but their observance did not amount to that. They came together and observed a ritual and nothing more. Paul is telling them that when they come together it is not for the better but for the worse. The same is true for us if we come to church and simply go through the motions it is worthless. In most cases it does more harm than good. This is especially true for the Lord’s Supper. We must realize the importance of what we are observing tonight. B. The Division That Is Involved - v18 For first of all, when ye come together in the church, I hear that there be divisions among you; and I partly believe it. 19 For there must be also heresies among you, that they which are approved may be made manifest among you. Paul mentioned the division at Corinth in 1 Corinthians 1:12 Now this I say, that every one of you saith, I am of Paul; and I of Apollos; and I of Cephas; and I of Christ. 13 Is Christ divided? was Paul crucified for you? or were ye baptized in the name of Paul? There we different groups than had pledged their allegiance to different leader. There were several different cliques who had formed in this church. When we were in school there were several different cliques. There were the rednecks, the jocks, the preps, the cheerleaders, the hippies and so on. There are many churches that are the same way. There is the group that loves the preacher, there is a group that hates the preacher, and there are those who have a traditional mindset and those who have a modern approach. Someone said to me the other day that the problem with cliques is that if only a few are included then someone is left out. We have certain things that we know are acceptable and unacceptable at the table.When we come to the Lord's table we must have the proper manners as well.